Is there any better representation of spring than freshly blooming flowers? With a myriad of colors to marvel at and so many different species to experience, they inspire us, bring us joy and have the power to instantly brighten our day and decor. So naturally when it comes to bringing the spirit of spring into our homes, nothing compares to flowers. Studies have shown that having flora present in our lives can actually put us in a better mood and improve our overall happiness. And thanks to all their positive psychological benefits, flowers can also help reduce anxiety, increase creativity and help us reach a higher level of relaxation. Flowers also add a dazzling variety of colors and hues to our lives. From robust reds and bright yellows to majestic purples and pastel blues, these colors can make us feel joyful, calm, inspired and enrich our everyday routines with their mood-boosting charms. While nothing quite compares with the sheer magnificence of real, growing flora, the fact is, real flowers eventually fade. The color dims, petals wilt and unless you have the knowhow and time to keep flowers flourishing, their benefits are short lived. 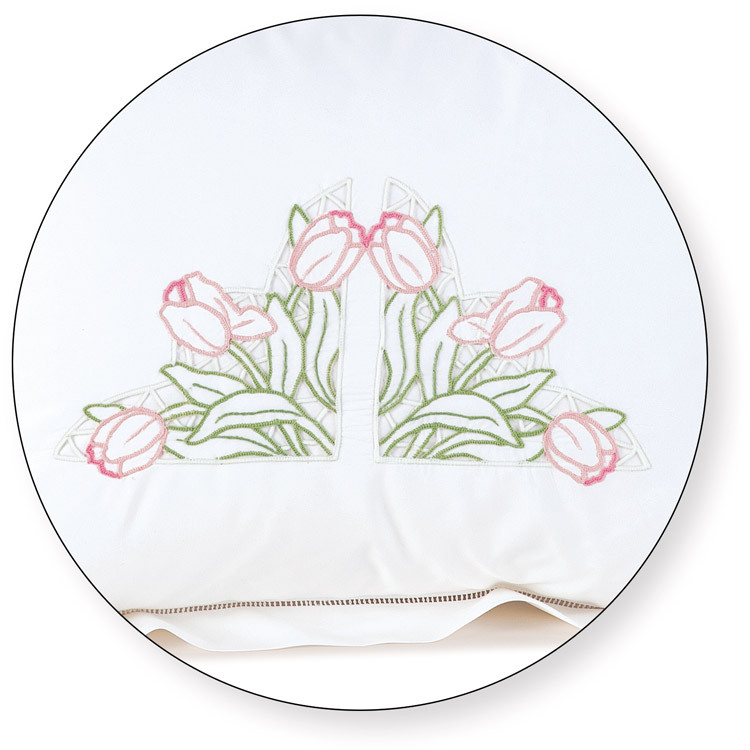 So this spring, why not add gorgeous flowers that will never wilt. 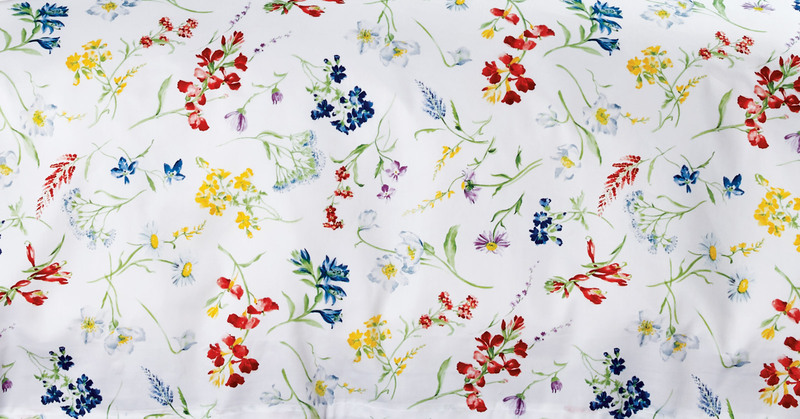 Schweitzer Linen’s floral collections feature a garden of blossoms and blooms that will transform your room into a budding springtime retreat. It’s like having your own personal garden, whenever and wherever you want it. Except this one will last for a very long time. 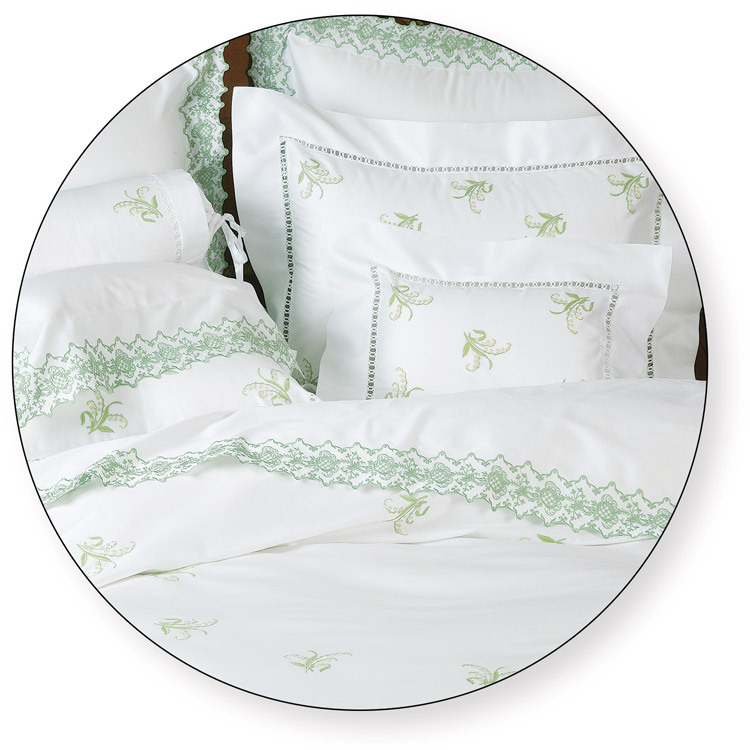 Because for a long time, Schweitzer Linen has been creating one-of-a-kind exclusive designs featuring the world’s prettiest and most captivating flora. Almost fifty years to be exact. 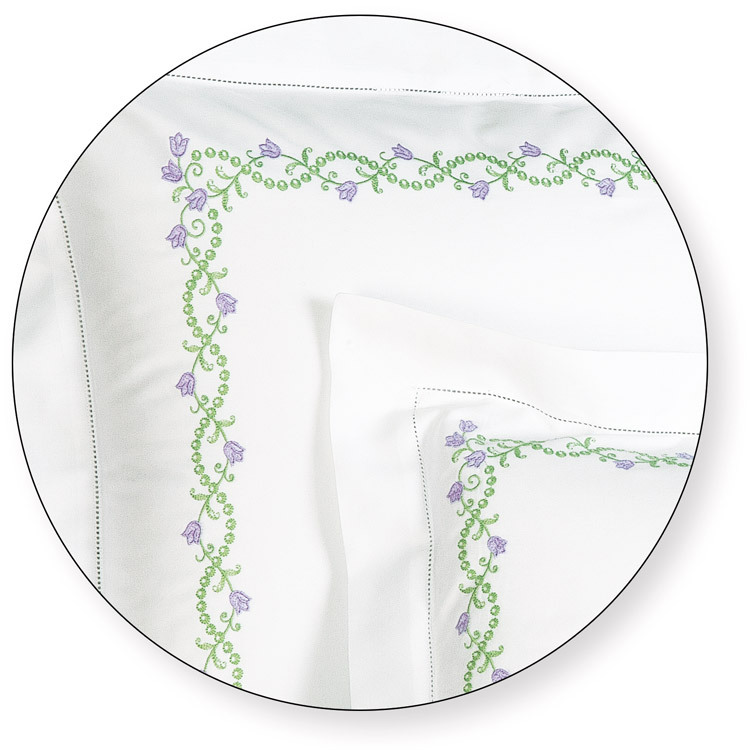 Using the finest materials and a level of craftsmanship unlike any other, they’ve created incredible floral bedding that has helped hundreds and hundreds of customers experience the pleasures of these precious perennials, every day. 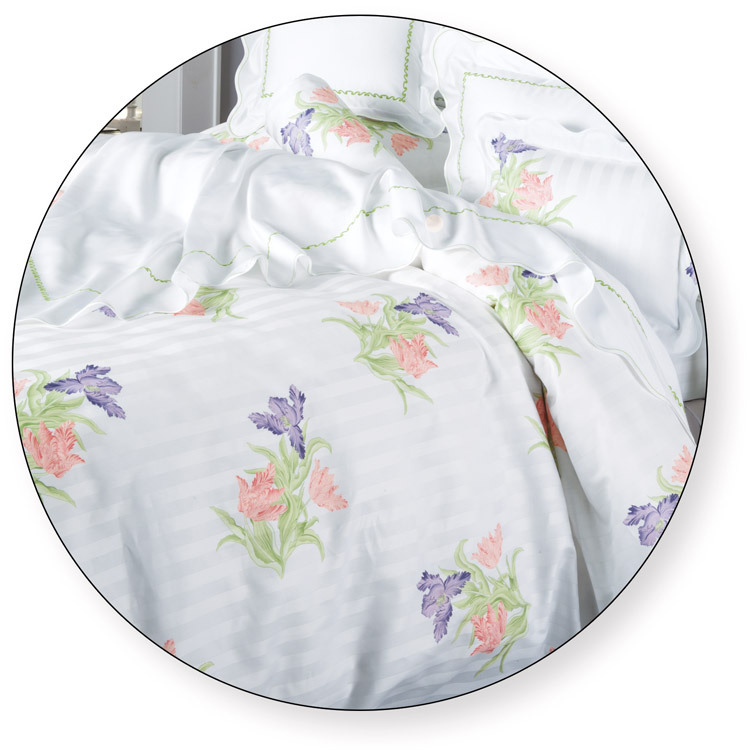 Derived from the Greek word, phlox, meaning flame, this flower is billowy, bright and bound to make every morning merrier and every night more restful. Considered by many to be spring’s most colorful flowers. The tulip grows in many shades and tones, some representing love, some royalty, but all of them perfectly embodying the warmth and energetic joy of the season. And in your room, that joy will be felt daily. 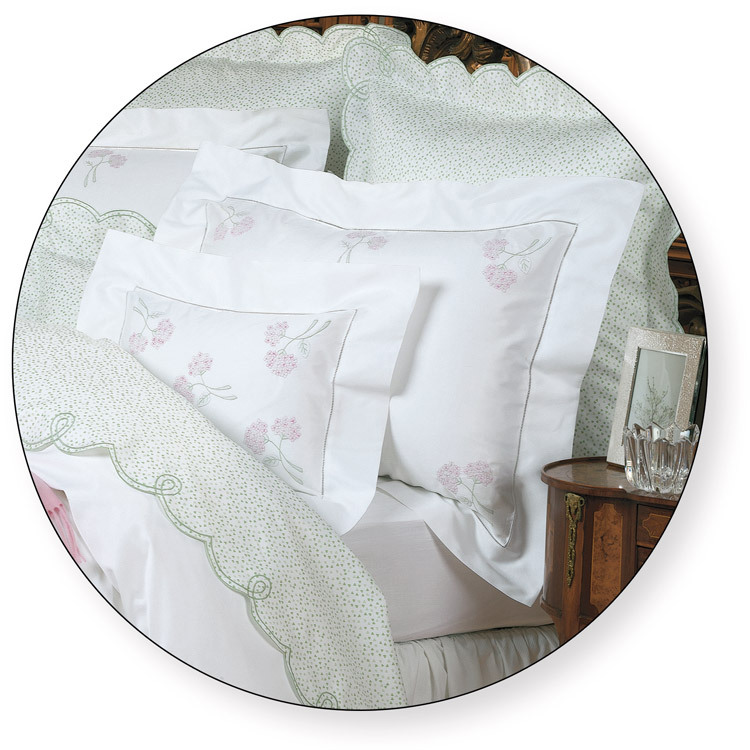 Lavish is the best way to describe this flower’s abundant blossoms and bold, rounded shape. So lavish that during the Medieval Ages, this flower was thought to be too boastful and associated with arrogance and vanity. Today, it’s just as lavish and just as beautiful only you don’t have to be ashamed to add its big, bountiful presence to your decor. 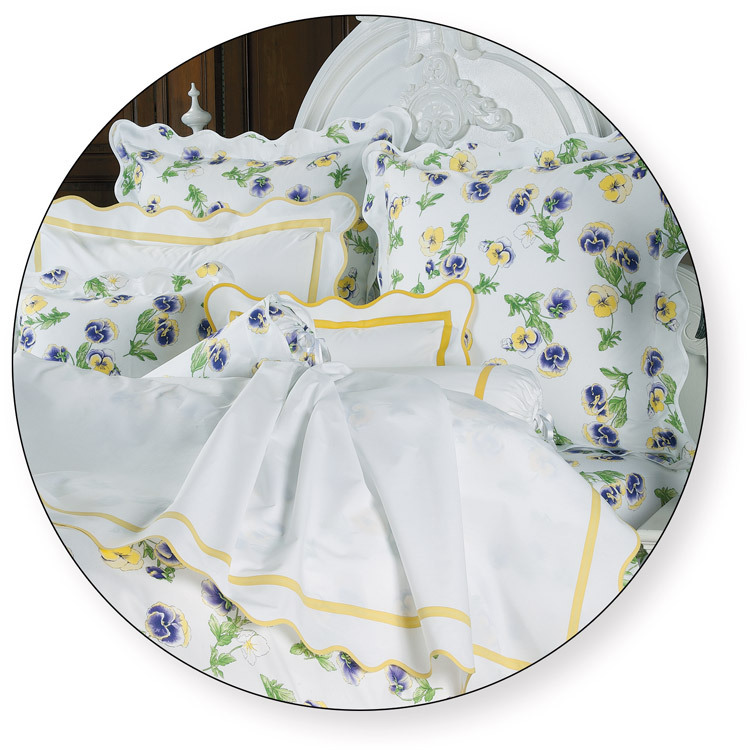 In fact, you’ll feel downright ecstatic at how the colors and hearty petals bring your room to the next level. Delicately divine in its slender grace and the chic curve of precious petals, this classic spring flower is a favorite for weddings (even royal ones) and can be found around the world representing happiness, luck and the celebration of life. Just imagine what it could do for your bedroom. Often cherished for it’s charming versatility and nod towards romance, this tiny flower was used in Victorian times to show love or communicate amorous feelings. But the power of this flower goes way beyond fond intentions. Derived from the French word, denser, meaning to think, this flower represents free thought, and a sweet pondering of life’s many layers. It was actually used as a symbol for the Free Thinkers Society, a group that believed in thought free from emotions, society’s restrictions and the accepted norm. If you’re looking to change up your environment and dull routine with a whole new perspective, this might be the perfect perennial for you.